Ontario’s first European Community, Sainte-Marie among the Hurons was the headquarters for the French Jesuit Mission to the Huron Wendat people. In 1639, the Jesuits, along with French lay workers, began construction of a fenced community that included barracks, a church, workshops, residences, and a sheltered area for Native visitors. By 1648, Sainte-Marie was a wilderness home to 66 French men, representing one-fifth of the entire population of New France. Sainte-Marie’s brief history ended in 1649, when members of the mission community were forced to abandon and burn their home of nearly ten years. After extensive archaeological and historical research, Sainte-Marie among the Hurons is now recreated on its original site, where the mission’s compelling story is brought to life. Located near Midland in the beautiful Southern Georgian Bay area, this world-renowned reconstruction illustrates the interaction of the French and Wendat nations. Visitors get a unique opportunity to see the earliest Canadian pioneer life, through guided or self-guided visits, school group tours, interactive education programs, special events, and corporate functions. 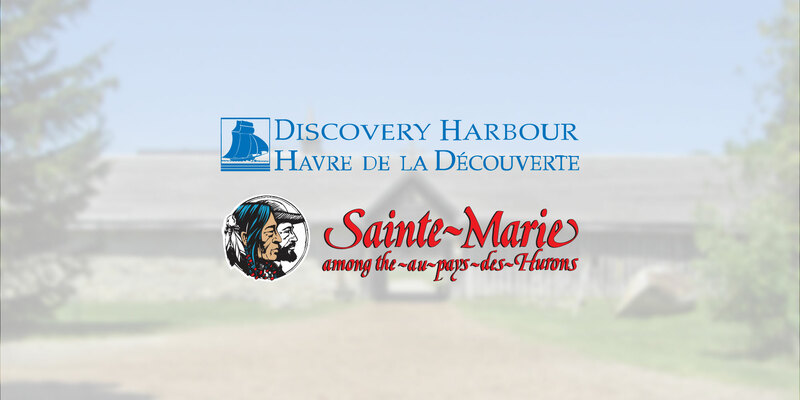 Visit our Interpretive Museum and themed gift shop, and complete your stay with a delicious meal in Restaurant Sainte-Marie. A naval and military past Discovery Harbour traces its roots back to the original British naval and military base in Penetanguishene, built to safeguard access to Upper Canada after the War of 1812. “His Majesty’s Naval Establishment on Lake Huron”, (as it was first called) kept ships prepared to supply British posts to the northwest. By 1820, it was home to over 70 people, including sailors, officers, shipwrights, and soldiers. Five large ships, 15 smaller vessels, and numerous workshops and dwellings were built. In 1828, a British garrison on Drummond Island was relocated to Penetanguishene. By 1834, Canada was defended exclusively by these forces. An impressive stone Officers’ Quarters was built in 1845. The military occupied the site until 1856.